Hey!! Hope your having a great day,I know I am. 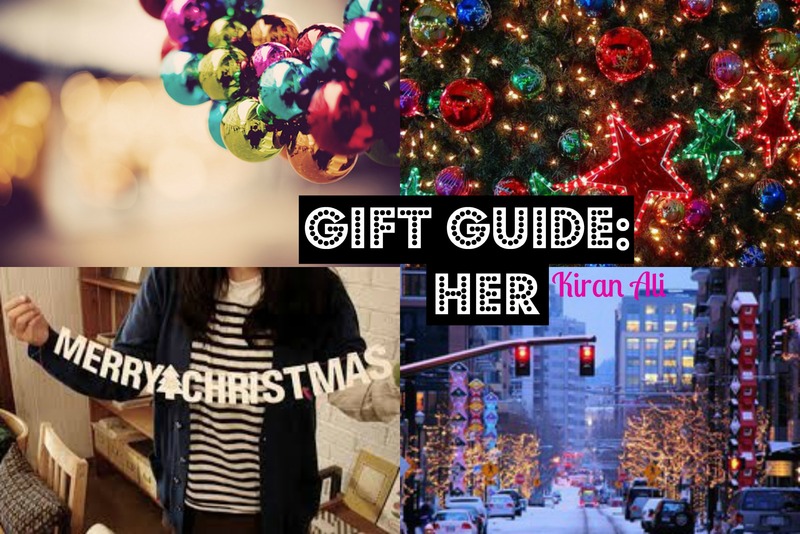 Today’s a gift guide: Her. For all you guys who may be confused in what to buy here you go. 1. Faux fur pom beanie – Topshop. Nothing better than a fur beanie to keep your ears warm in the cold. 2. Magic wand – Lush. This wand is adorable with gorgoues colours and scent. 3. YSL black opium perfume – Boots. According to many people this is the nicest perfume ever!! 4. Jessie J Sweet Talker. Every girl loves music,nothing better than their favourite album mines obviously Jessie J – Sweet Talker. 5. RJR faux fur slipper boots – Debenhams. These slippers look so comfy and they’re boots you can’t go wrong. 6. MAC lipstick ruby woo – MAC. This lipstick is a need for every girl the colour of it is stunning. 7. Tatty Teddy pyjamas – Next. These pyjamas are super cute and filled with the Christmas spirit. 8. Naked 3 – Urban Decay. Every girl needs a naked pallette this is the latest one which has some gorgoues colours.